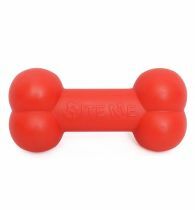 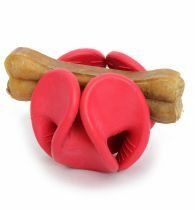 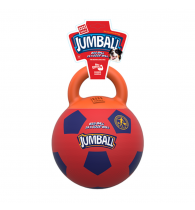 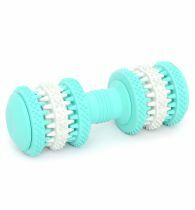 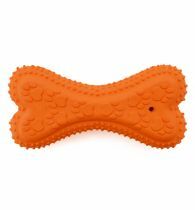 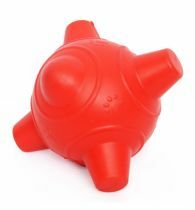 This toy is made from non-toxic and non-abrasive materials in order to prevent wearing down of your dog's teeth. 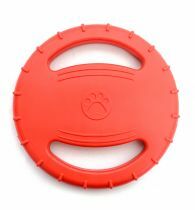 It has been developed from safe, quality materials thst are completely harmless to your pet. 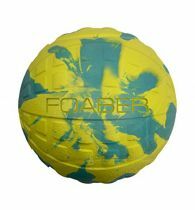 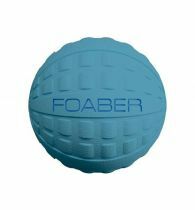 The natural thick rubber walls give it the extra bounce and durability.